MEXICO CITY — The man who sent my parents to their death, along with thousands of other people, died while under house arrest a few weeks ago. He was 90 years old and serving 14 life sentences. Death has died, and yet it brings me no joy. I peered through the window and watched as he stepped out of a car and walked to a house across the street, where his daughter lived. Old age had slowed his stride — he was close to 70 at the time — but he retained the arrogant demeanor of a military officer. His family came out to meet him. No hugs were exchanged. I was gripped by fright, and for the remainder of the afternoon we stayed far away from the windows. Running across a person who had committed genocide was always a possibility in Argentina in the 1990s. The dictatorship had ended, but many people had walked free, thanks to the laws, pardons and cunning of later governments that refused to pursue full justice. Murderers bought groceries at the supermarket, torturers waited in line at the bank. I learned that Mr. Menéndez went to the same cardiologist as the mother of a friend. I had always been afraid of that man with those eyebrows, wide and black like coal. When I was a little girl I was terrified by the stories I heard of the torture and thousands of murders he ordered and oversaw at La Perla, a clandestine detention camp. There was one image of him in particular, clutching a knife in a gesture of rage, that always filled me with horror. That photograph was etched into the collective memory of Argentina, taken just when he tried to kill a group of protesters in 1984, a few months after the military junta lost power. Mr. Menéndez was not a lone madman, though. The Argentine armed forces carried out genocide because they were hired guns at the service of economic and military powers that fleeced the country (the foreign debt went to $46 billion, from $9.5 billion, under the junta). And for that reason they exterminated the people who irked them, like my parents: Ester Felipe, a psychologist, and Luis Mónaco, a journalist. Both were members of the People’s Revolutionary Army. My mother was 27 at the time, my father 30, and I was 25 days old. When I lived in Argentina I always dreaded the possibility of coming face to face with the people who had murdered my parents and so many other opponents of the regime. Other children of the disappeared, though, wanted to confront them, insult them. And every time they did, we would celebrate over our little moral victory. My generation grew up seeing these killers not being brought to justice. We felt vulnerable, frustrated and angry. This may sound like an exaggeration, but this frustration seeped into everything. What, we asked, was the point of democracy? Our frustration gave way to an idea: If the authorities were going to let criminals walk the streets, we would turn the streets into a prison. 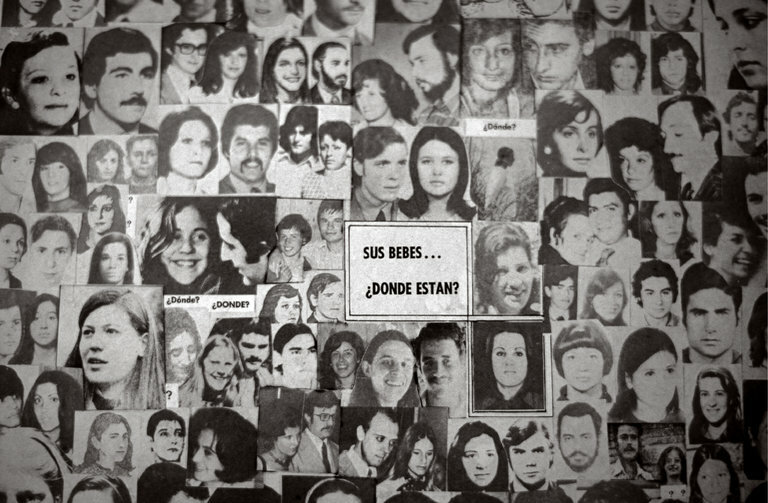 In 1995, the children of people disappeared, murdered, exiled and imprisoned for political reasons founded the Sons and Daughters for Identity and Justice, Against Forgetting and Silence, or Hijos. We would find out the home addresses of these mass murderers, photograph them, then walk through their neighborhoods in a peaceful protest. The idea was to alert the neighborhood: “Watch out, there’s a murderer living here.” We called it “escrache,” which means “exposure.” It was our way of fighting impunity. We didn’t have to investigate anything about Mr. Menéndez, because we all knew where he lived. Calle Ilolay, 3269, in Córdoba. A one-story house, with white walls and a tile roof. He entered and exited at his leisure, attended official events and traveled around the city without protection, just as he had that afternoon in front of my friend’s house. None of us, however, the tens of thousands of families whose relatives had been disappeared, chose the path of violence. In 2013 I saw Mr. Menéndez again: in a courtroom, during a trial — the La Perla “mega-trial,” with 52 defendants and 716 victims. I was witness No. 167. When the judge called me to the stand, I stood there facing Mr. Menéndez. His hair, totally gray, was slick with gel, and his eyebrows were still black. What once had been large under-eye circles were now large bags of hanging skin. His eyes were glassy with an icy, pitiless stare. I testified on behalf of my family, those who were living and those who had died along the way. We, the survivors of a bloody dictatorship, were the ones who pushed the government to prosecute the murderers with the legal guarantees that they had denied our dead. “Lots of people will be happy if I die,” Mr. Menéndez once said in an interview. But he was wrong. We do not forgive him, nor do we cry for him, but we are not happy, either. We don’t celebrate death. When he died he left cloaked in cowardly silence, never revealing where he hid the remains of our loved ones. His family, however, was able to bury him because he died in a very different Argentina from the one he terrorized. He died in a country that was more just, which was what our parents had wanted. 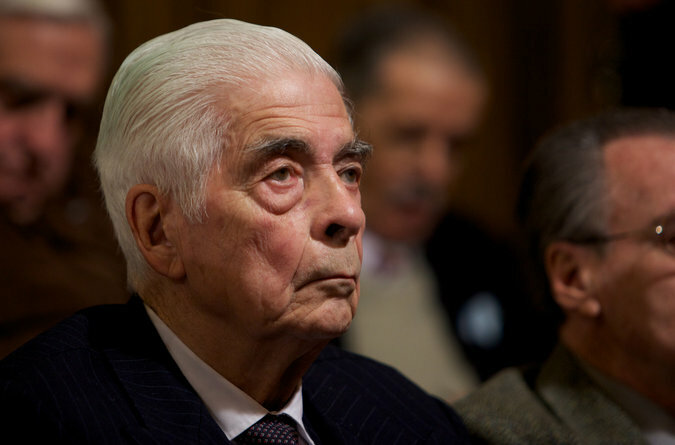 Mr. Menéndez went to his grave with more life sentences than anyone else in the history of Argentina. And though there are days when I feel that no conviction will ever be enough, the day that he died I felt proud, because I was able to say to my 7-year-old son that his grandparents’ murderer died a convicted man, that the struggle is worth it, that justice is something that can be built. Paula Mónaco Felipe is a writer and journalist. This essay was translated by Kristina Cordero from the Spanish.